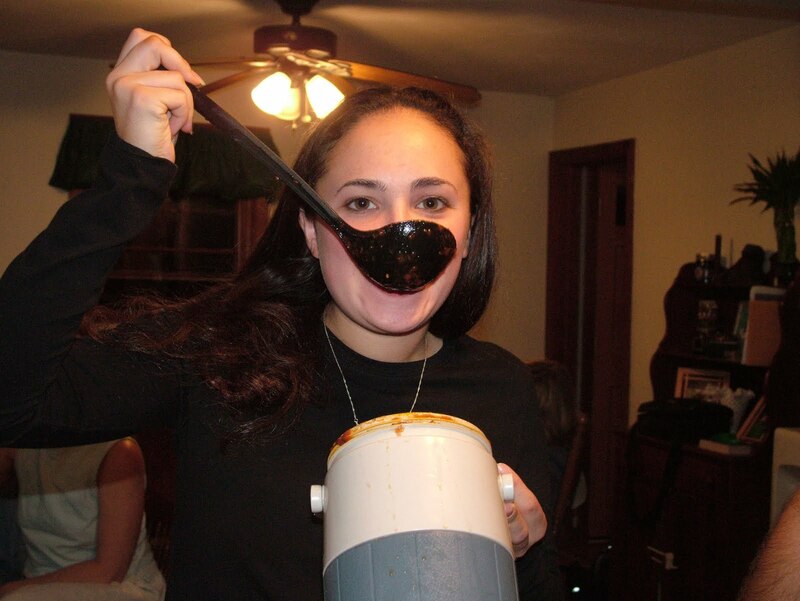 My niece, Tiffany, is another lover of my “sauce ‘n’ balls” (as she calls it)…after moving to TN from CT, when I would visit her I would bring her some sauce. She would take the container and hide in another part of the house devouring the contents of the container…so funny, she would not share it with anyone!!!! For the meatballs you will need, 1 pound ground round, 1/2 pound ground pork, ½ pound ground veal, 3 eggs, 1 chopped onion, minced garlic, Italian flavored bread crumbs, fresh parsley, milk, basil, oregano, grated parmesan cheese, red pepper flakes, black pepper, salt, and fennel seeds…. (yes)…for the sauce you will need extra virgin olive oil, bacon, chopped onions, garlic, red italian wine, tomatoes, tomato paste, fresh parsley, basil, oregano, bay leaves, red pepper flakes, black pepper and fennel seeds. First, pre-heat a large stockpot. Add 1/4 cup extra virgin olive oil. Once the oil is heated, add 1/4 cup chopped bacon. Cook the bacon over medium heat until nice and crunchy. Once cooked, remove from the pan. In a large mixing bowl, add 1 cup of the chopped onion/garlic mixture, ground round, ground pork, ground veal, 1/2 to 1 cup Italian flavored bread crumbs, 1/4 cup chopped parsley, 1/4 cup grated parmesan cheese, 3 eggs, 1/3 cup milk, 1 teaspoon oregano, 1-2 teaspoons basil, 2 teaspoons crushed fennel seeds (a coffee grinder is best) red pepper flakes to taste, ground black pepper, and salt to taste. 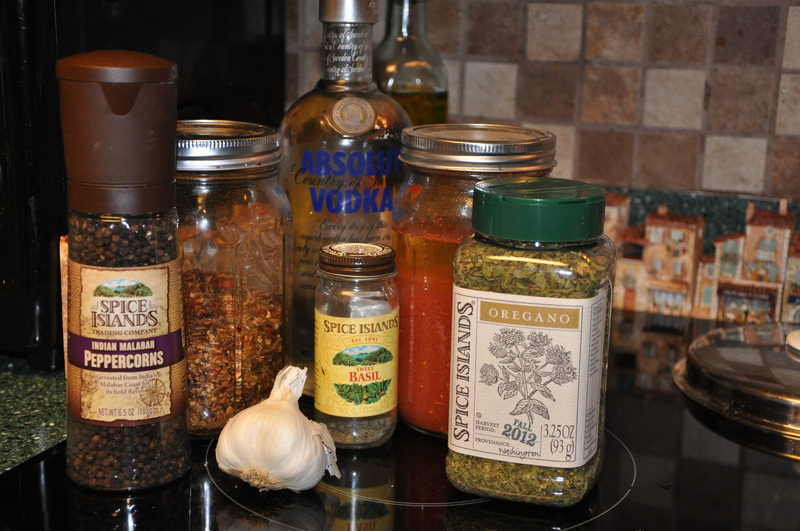 Mix ingredient until thoroughly combined, but do not over-mix. If the mixture is too thin, add additional breadcrumbs; too dry, add additional milk. Roll into a 1 1/2″ diameter ball. If you have the right consistency the ball should hold together without deforming when placed in the hot oil. Once a week I have the opportunity to teach an hour long “spin” class at Lifetime Fitness. Our members are very loyal to attending our classes. As a little “perk” once and a while I will bring them a “treat” to eat after class is over. This past Saturday we celebrated a 2 hour special Valentine cycle (spin) class. As a little healthy and fruity (did I say delicious) treat I decided to make them filled strawberries. There are a few recipes for this on the internet, however I wanted to put my take on the original. What goes better with strawberries than chocolate (and of course some champagne, but I can’t bring that to class). Hope you enjoy my version! 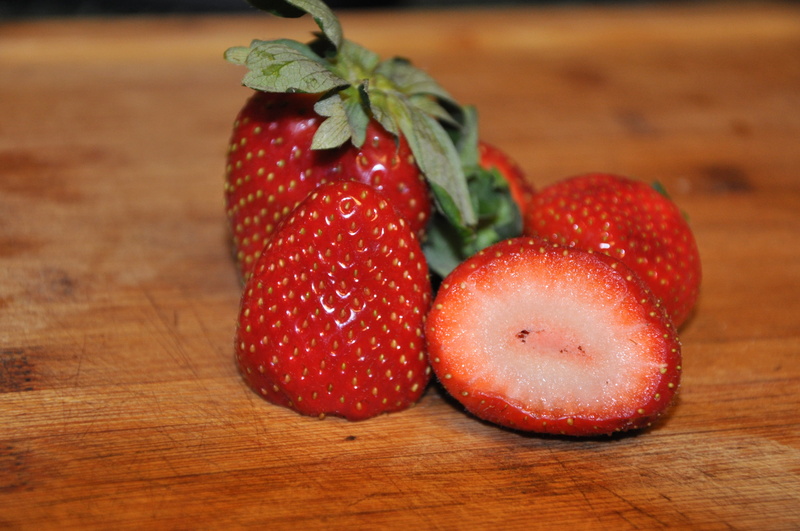 Cut a very thin slice from the top of the strawberries and stand upright on the cut side. Make a criss-cross cut on the opposite side of the berry cutting down almost to the bottom. Gently with your fingertip, spread each strawberry apart to make “pedals”, or room for the filling. Beat together the cream cheese, powder sugar and liqueur until smooth in a mixer or a food processor. Place filling into a piping bag with a star tip. Pipe filling into each strawberry and arrange on a serving platter. Optional: Garnish with fresh mint, shaved chocolate, blueberries or powdered sugar. 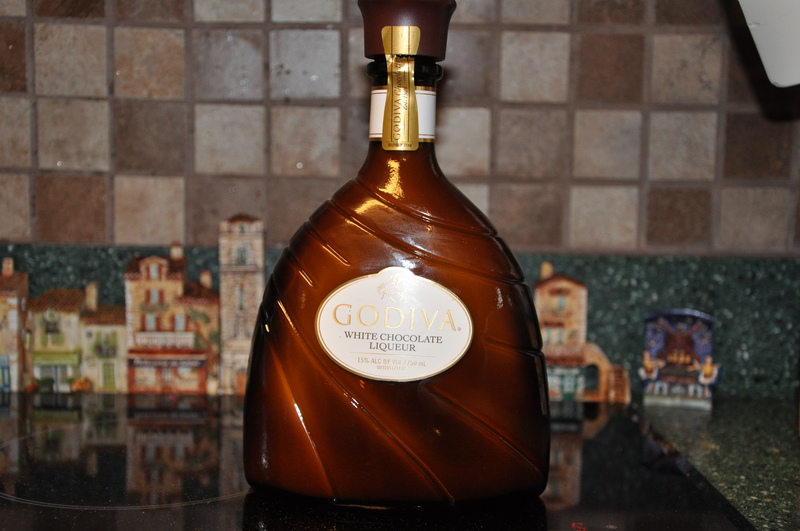 Note: You can also use 8 ounces mascarpone cheese and different flavors of liqueur. 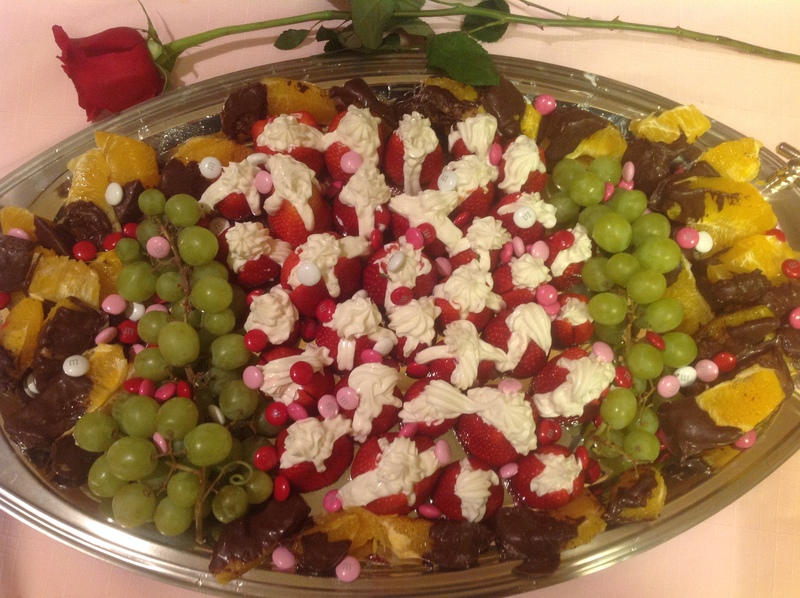 I also added “Chocolate Dipped Orange Segments” topped with sea salt….Enjoy!!! 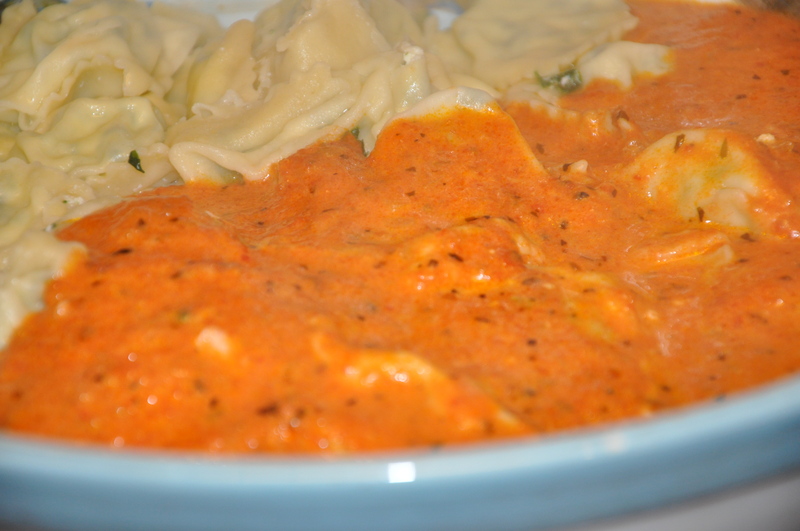 “Love is in the Air”….and so is a good vodka sauce for Valentine’s Day. My cousin sent me a request this week for a sauce that would go great with her heart shaped pink ravioli’s…here you go Marifrances, enjoy and “Happy Valentines Day!!! 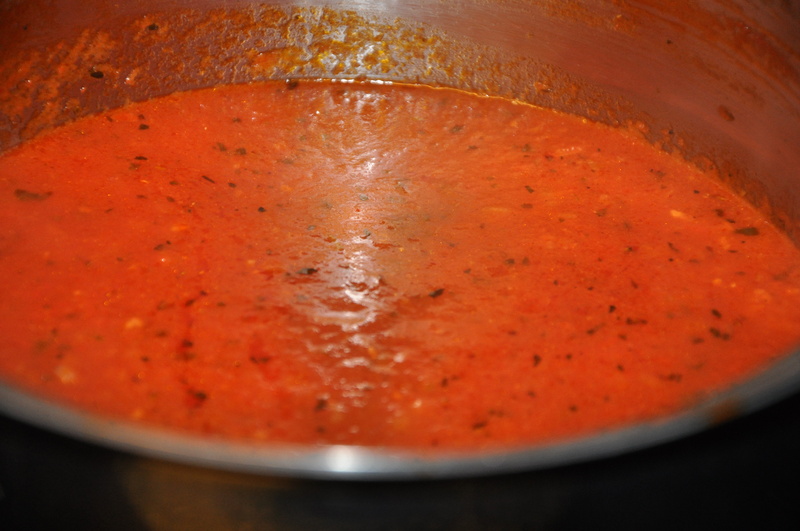 This really is a very quick and easy sauce to make, total time is about 30 minutes…. 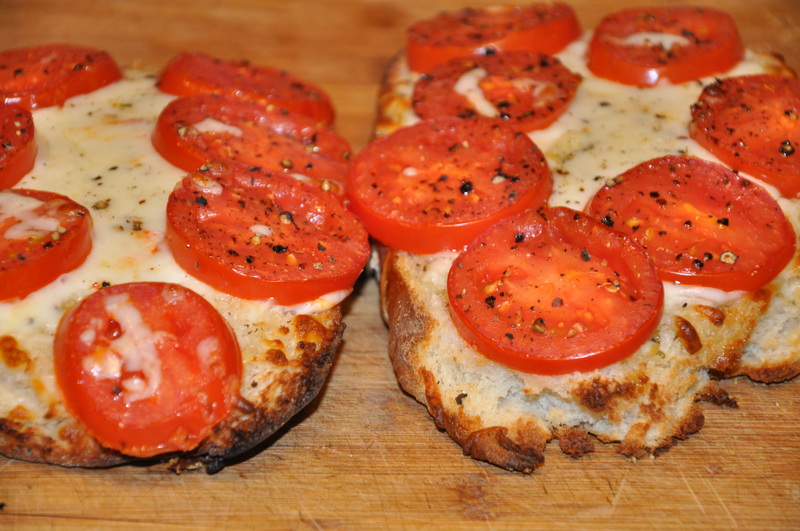 I served this over my homemade spinach ravioli...awesome combination, and added Jenny’s favorite garlic bread. This sauce works great with any type of pasta! Happy Valentines Day!!!! 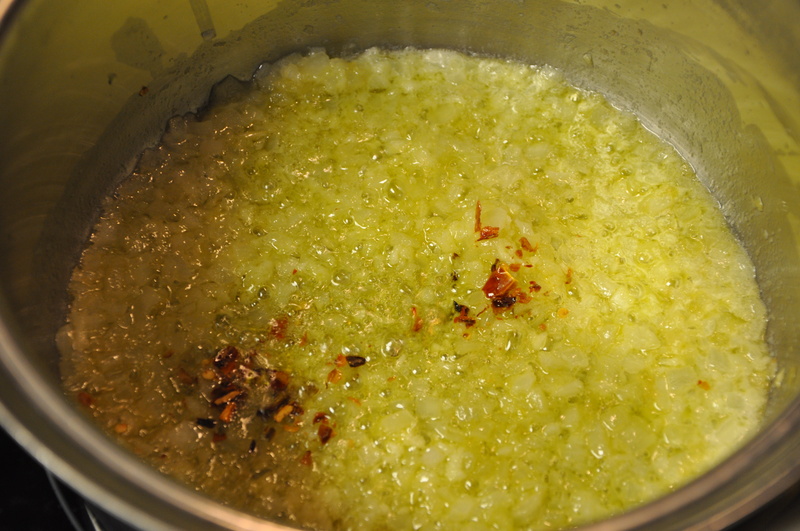 Melt butter and oil together in a medium size saucepan over low heat. Add onion and garlic, cook until transparent, about 10 minutes. Add red and black pepper, increase heat to medium and deglaze pan with vodka. Cook until liquid is reduced by half, about 5 minutes. Add tomatoes, paste, basil and oregano. Simmer sauce 30 minutes, or until thick. Add heavy cream and grated cheese, cook until heated thorough. Serve over pasta of your choice! Boun Appetito!!! Happy Super Bowl Sunday! Take a few minutes to answer my Super Bowl poll…. Sometimes you come across a dip that you absolutely fall in love with….well, I’m in love….this dip has been around for a while, but I just had the opportunity to taste and then make it. If you are looking for something to bring to today’s Super Bowl Party, this definitely is the one….I guarantee this will be a very BIG HIT, and did I mention is quick & easy???? Stir the cream cheese in a 9-inch deep dish pie plate with a fork or whisk until it’s smooth. Stir in the dressing, pepper sauce and blue cheese. Stir in the chicken. Bake for 20 minutes or until the chicken mixture is hot and bubbly. Stir before serving. Serve with the vegetables and crackers for dipping. 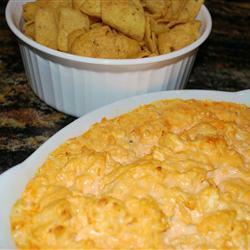 Tip: This dip can be kept warm in a small crockpot or fondue pot on the buffet table. To make in the microwave: Use a microwavable 9-inch deep dish pie plate. Prepare the dip as directed above in Step 2. Microwave, uncovered, on HIGH for 5 minutes or until the chicken mixture is hot, stirring halfway through the cook time.